I was sitting in a café listening to two customers at another table holding forth about the Scopes “Monkey” Trial of 1925. They seemed to be valiantly trying to outdo each other for ignorance. For absolutely nothing they said was historically true. It’s not about science versus religion. It’s about the right to think. Nevertheless, Inherit the Wind is all-too-widely accepted as a factual account of the trial. Now why should this bother me? It’s not that I object to the play’s status as a rousing polemic against Creationism. Pat and I are passionately devoted to evolutionary thought, and we’re constantly exchanging and discussing the latest news stories about discoveries in natural history. To us, the simple fact of evolution is wonderfully and endlessly pertinent to our ongoing fascination with Story. But as a storyteller, I think that a cultural milestone as momentous as the Scopes Trial merits a more reliable account than you’ll find in Inherit the Wind. 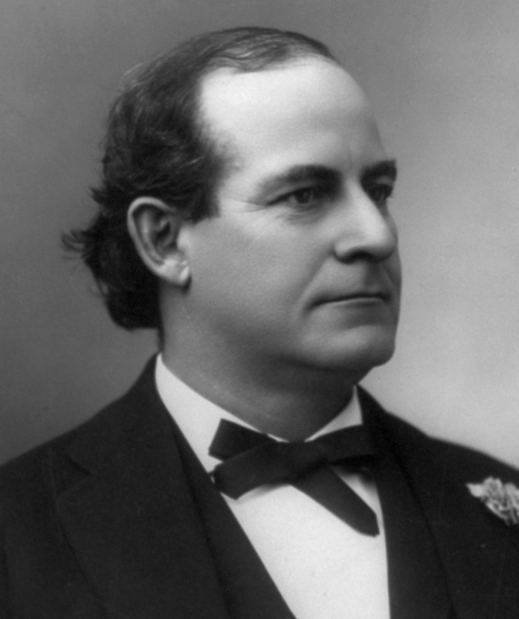 And the politically progressive William Jennings Bryan deserves fairer treatment than the character assassination he has suffered from being equated with his fictional proxy, the laughable but dangerous buffoon Matthew Harrison Brady. The actual Scopes Trial and the media circus surrounding it were quite melodramatic enough without recourse to Lawrence and Lee’s extravagant distortions. 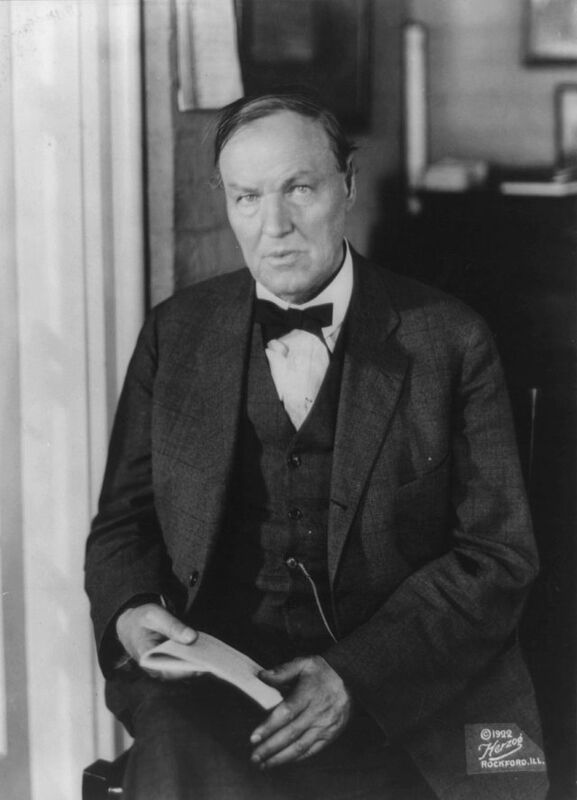 And the trial did not bring out the best in either Bryan or his nemesis Clarence Darrow, especially during Darrow’s climactic cross-examination of Bryan. Bryan managed to fit perfectly the image that Darrow had drawn of him as a Bible-thumping bigot. And by embarking upon an obsessive (if also eloquent and effective) defense of science against religion, Darrow succeeded in botching what ought to have been a fairly straightforward legal defense of free speech. Despite all this, a deeper historical and intellectual subtext lies beneath all the melodrama. The late paleontologist Stephen Jay Gould offered a remarkably nuanced view of both Bryan and the trial itself in his essay “William Jennings Bryan’s Last Campaign,” which appeared in his 1991 collection Bully for Brontosaurus. And now I’d like to do likewise. 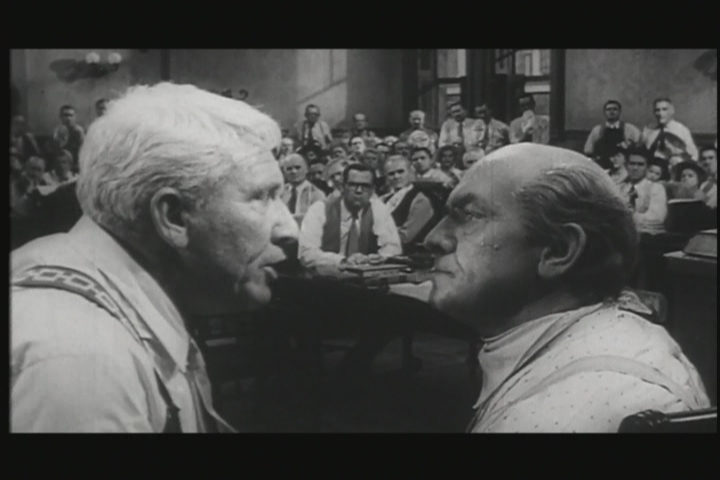 In our next post, I’ll offer a sort of 10-minute thumbnail revision of Inherit the Wind. 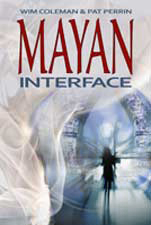 In it I hope to portray both Bryan and Darrow somewhat more favorably than they did themselves in 1925. This entry was posted in Thinking about story … and tagged A Civic Biology, Bully for Brontosaurus, Clarence Darrow, George William Hunter, Inherit the wind, John Scopes, Lawrence and Lee, McCarthyism, Monkey Trial, Scopes Trial, Stephen Jay Gould, story, William Jennings Bryan.